The first Net Futures Conference, organized by the European Comission in Brussels on 25 and 26 March has been a great success. Over 1000 attendees gathered to network, share and discuss the European technology and policy making. Among the exhibitors there was CISCO, one of the conferences gold partners, presenting its iCity Blueprint Architecture. The architectural leader explains in the conference’s website how iCity aims to integrate a common technological platform upon which services can be offered to the citizens throughout a iCity Open apps repository. Provide participant Cities with a detailed communications architectural blueprint to support open, internet-enabled public services and services of public interest for the different use cases and pilots part of the project. 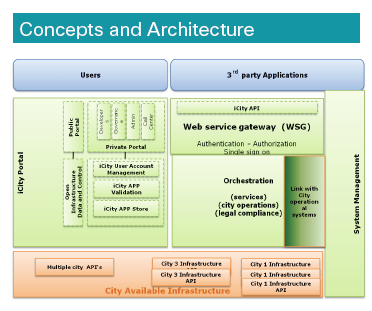 Provide participant Cities with the iCity Platform and its associated APIs. Enable SMEx to create innovative internet-enabled service of public interest. An Open Urban Service Delivery Platform easily transferable to interested cities. A Linked Open Apps Ecosystem of services of public interest made available through an iCity Open App Store. A new user-drivem methodology for the creation of Services of Public Interest.